Blog/Cases A day in my life... AKA how I help people get better. A day in my life… AKA how I help people get better. 8 year old who came for ADHD. He has been on many prescribed ADHD medicines to no avail. Has completed a steroid and antibiotic detox. The first few weeks saw an increase in behaviour, but after 2 months his skin has cleared up, his restlessness has improved 40%, and he can control his actions by 30%. Next he is doing a vaccine detox with a remedy for a suspected trigger in pregnancy to heal his anger. He is making progress. HPV vaccine injured girl. Has completed a Men C vaccine and HPV vaccine detox. Headaches, palpitations, POTS, stomach pain, back pain and sensitive skin improving slowly. Tingling, stabbing pain, earache gone. Tricky case. This girl is very ill and debilitated so it is taking a while to make all symptoms disappear. But she is going to make it. Doing a metal detox next to help with aluminium and mercury from vaccines causing nerve pain. Brother and sister who have completed vaccine detoxes and had speech problems. Brother now has more speech, and more babbling and singing. His sister has babbling returning, and is sleeping much better now. She has stopped coming into her parent’s bed in the middle of the night. Going onto antibiotic detoxes as they have had quite a bit of it which disrupts the gut a great deal, and causes many long term symptoms for some. 4th case: HPV vaccine detox, a very challenging case where the girl has tried lost of various treatments and also classical homeopathy with minimal change. She has extreme nausea and a long list of symptoms. Her pains have become less intense and shorter. She has other vaccines in her history which were given close to the HPV vaccine which need to be detoxed. The HPV is often the trigger from earlier vaccine damage. It just shouts louder so you take notice. 5th case: Lifelong chronic symptoms stemming from leukaemia treatment as a girl. This is a slow burner case as the damage goes back decades. The patient is fully aware that in these circumstances homeopathy is not a quick fix, but a slow permanent fix. Her symptoms improve but do not hold, indicating blockages in the way that need attention. 6th case: Autism and seizures in a 20 year old. Again this case will take longer as the symptoms have set in longer. however improvements have already been made with steroid and vaccine detoxes – he is much calmer and making attempts to speak. After going on vacation he is suffering from a terrible case of constipation. Advised that no detoxing should recommence until this has been dealt with or aggravations are likely as the toxins have no outlet. I have given some remedies to alleviate this. I wonder how many cases of aggravation are cried out loud in autism groups because the bowels and liver have no support or that constipation hasn’t been dealt with adequately beforehand. 7th case: HPV vaccine injured. A huge case – made much worse by contraceptives which is often the case with all HPV injuries I have dealt with. Hugely debilitated so she has gone much slower than usual with the whole process. After a pill and HPV detox she is finally over the hill and making clear progress. She looked the best I have seen her yet. Huge anxiety issues means she is on anxiety meds which also slows the healing process down. However as homeopathy deals with all the symptoms, she has decreased her anxiety meds herself through detoxing. Onto antibiotic detox which I think is causing her chronic heartburn. 8th case: Older teen with autism. I love working with this guy because he can communicate on Skype with me very well we and we had a short chat about what interests him. 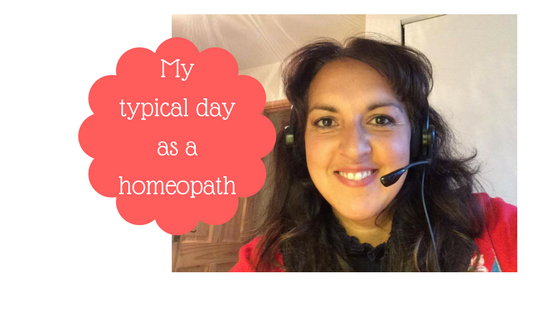 It’s not always about the physical symptoms, personalities can also help me to prescribe remedies. He has been on just a constitutional for a few months – I was so pleased that he went to a Summer Camp for a week. He is calmer, less agitated, less aggressive. I am really happy for him and his mum. If the constitutional is so clear I give that first – but in my experience the waters are so muddy from vaccines and meds it’s hard to tell 100%. He is doing a vaccine detox next. 9th case: A severe surgical trauma case all stemming from a military vaccine injury. Started with uterine problems which resulted in multiple surgeries which have left the patient in chronic pain and debilitated. Before any detoxing takes place we need to heal the internal problems which will take a while so that’s our first step. I am determined to get this woman up and out having a full life again. 10th case: Great speech progress from an ultrasound detox. The mum had 6 ultrasounds in pregnancy and this detox brought the most verbal gains. I am really happy for the mum and daughter. She has completed an IUI detox and is now going to do a vaccine detox to help behaviours and speech further. 11th case: Chronic debilitated case in a young woman that has a huge history of meds since very young. Is practically housebound as too tired to do anything. Been working together for over a year and her energy and motivation has increased. A complex case but as times goes on we get deeper into the emotional depths of patient’s problems. This is what chelation and just taking supplements cannot address. Homeopathy can address emotional situations very well. Some consults are physically based and some consults are deep therapy sessions. 12th case: Another very chronic case of over medication resulting in complete breakdown of the body. This is by far one of my most complex cases I have ever had but she was so allergic to foods and the environment she was housebound- she is now getting out and becoming physically stronger and getting her whole life back. Also have been working with her for over a year but I challenge any therapy to heal this amount of damage at a quicker speed. After a year she is able to begin detoxing. We have started at a very gentle pace and dilution. Its a very exciting time for her. We have a very good working relationship and this is paramount to my most complex cases. She knows what I need to know and communicates it clearly. She is fully immersed in her own healing. So there you go – a typical day whereby at the end I feel that this work is so rewarding. If anything in these cases resonated with you please get in touch with me and we can discuss your case. Homeopathy heals the whole body together and for good.